Enter name and email to get more information on our Summer Camp and a FREE copy of my book. And it’s not just because of all the FUN they’ll have. Your child will benefit from improved self-esteem and self-confidence that will stay with them FOREVER! Here are some of the great experiences that your child will have during our Brooklyn Karate Summer Camp for Kids! A healthy kid is an active kid. We have all learned over the years how important it is for a child to be active. It’s good for the body, and for their mind. They’ll begin to build the healthy active habits that will keep them healthy for their whole life! Exercise will be a natural part of their lives as adults, when they start as kids. Your child will not only have a Martial Arts class every day, but will also get a cardio workout! This is not a super intensive sports camp! Most of your child’s activity will be in the form of games! The kids will all receive positive support, not just from the Camp Staff, but from each other as well. At the same time that your child will be pushed to do their very best, we’ll also help motivate them when facing new challenges. We will help your child to believe in themselves. They’ll accomplish great new things during the camp, so that they’ll be able to achieve great things in their everyday lives. And they’ll have all the confidence that comes with it! The values taught by the Martial Arts are Focus, Attentiveness, Discipline, Respect, and Diplomacy. We help teach your child how to think things through, to treat others with courtesy, to know and do the right thing. The Martial Arts teach Peace. We teach our students that violence is always a last resort. Because they’ll have practiced respect, your child will be in a better position to work things out with others, and come to an understanding. These are the leadership skills that we all want our children to have, and they’ll be weaved throughout the camp experience. 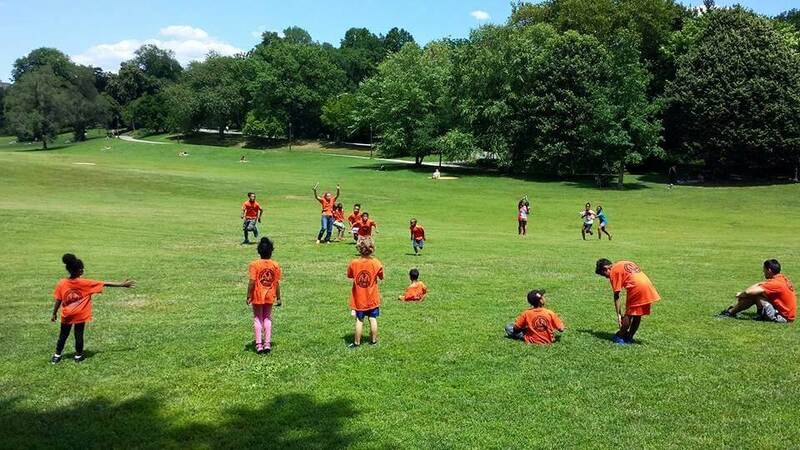 When is the Brooklyn Martial Arts Summer Camp held? The 2019 Summer Camp season will run for 8 weeks, from the 8th of July to the 30th of August. Activities all take place between 9:30am and 4:30pm Monday through Friday. Note that you are welcome to drop your children off as early as 8am, and you can pick them up as late as 6pm. What kinds of things will my child do at the Brooklyn Martial Arts Summer Camp? Campers will get to participate in Cardio Workouts, a 30-minute Martial Arts class Monday through Thursday, and all day long we’ll be doing fitness and Martial Arts activities that feel like playing games! Developing character is an important part of our camp, so each week we will concentrate on a different aspect of character, like Courage, and Responsibility, and Friendship. We’ll have discussions and activities revolving around the theme each week. We’ll also do writing and arts projects connected with the week’s theme. Plus, of course, we’ll do 1 or 2 fun field trips each week as well! Is this an intensive sports training camp? No, this is certainly not an intensive training camp. It’s an activity camp where we weave in elements from Martial Arts, Fitness, and other sports as well. Your child will stay active all day, but these are not full day workouts. We usually do things like horseback riding, ice skating, rock climbing, go to the movies, the zoo, and the botanical gardens. We also go to family entertainment centers with bumper cars, inflatable slides and other fun rides. And sometimes, we challenge one of the other local Martial Arts school to a water gun fight! What is the minimum number of weeks I can do the Brooklyn Karate Summer Camp? How much extra money are the field trips? Field trips are only $10 extra per week. Do we have to enroll in the entire 8 weeks? No, you have the choice between 3-week, 5-week or 8-week enrollments, depending on what you want! Your child does not need to attend consecutive weeks, you are free to mix and match. 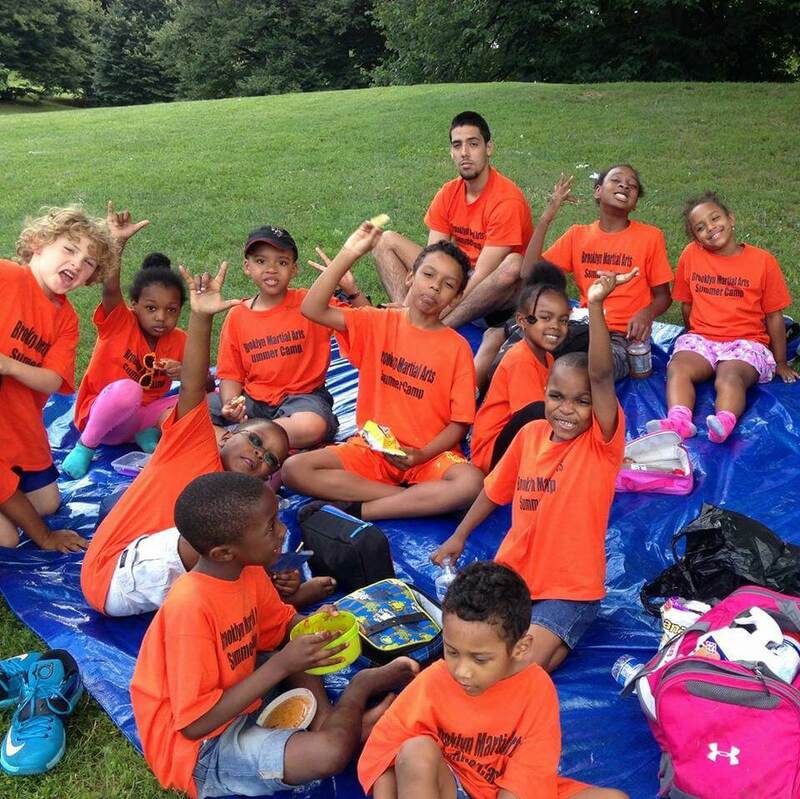 Is lunch included in the Brooklyn Martial Arts Karate Summer Camp? No, your child will need to pack their own lunch, along with some snacks and a water bottle. We will have extra water if needed. 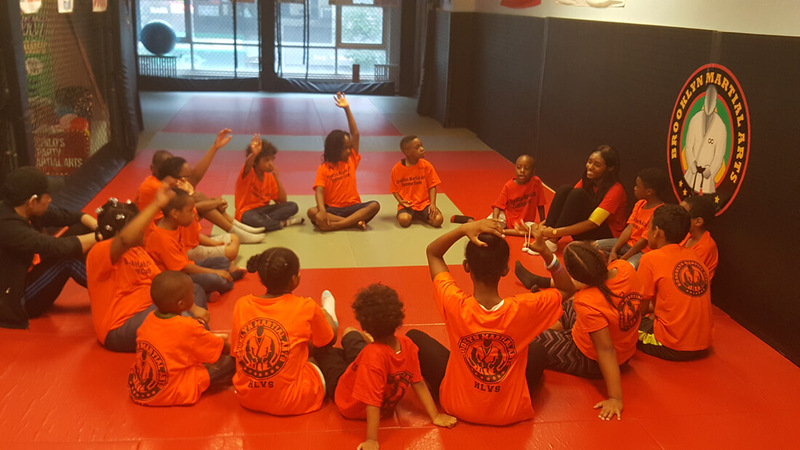 What ages are the Brooklyn Martial Arts Summer Camp students? The Brooklyn Karate Summer Camp is open to students from 4 to 13 years old. Can we do a payment plan instead of paying all at once? You Bet! We can arrange for either weekly or monthly payments, automatically billed to your credit or debit card. 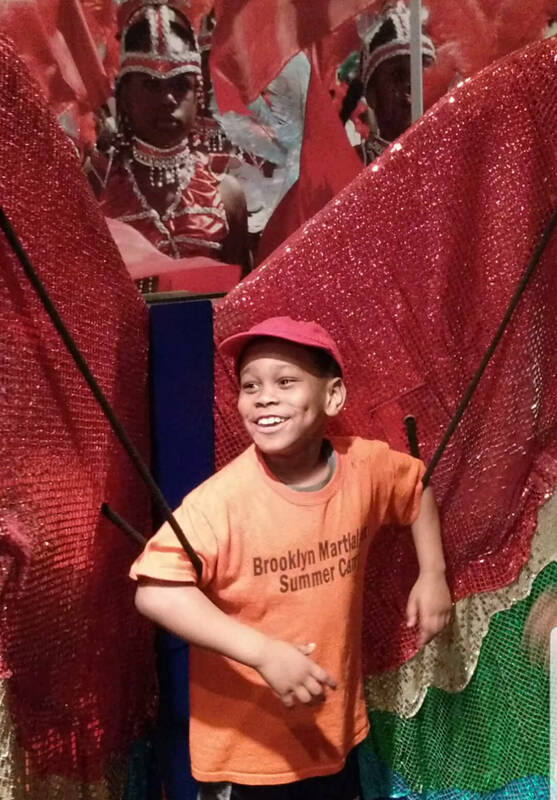 How do we register our child for the Brooklyn Martial Arts Summer Camp? Just drop by Brooklyn Martial Arts, fill in the paperwork, and pay the non-refundable deposit of $249 (which will reserve go towards your first week). You can use cash, check, or credit card. What is the tuition for the Brooklyn Martial Arts Summer Camp? If you pay after Friday, May 31st, you’ll have to pay the full rate of $249 per week. Payment for each week is due no later than 9:30am each Monday. 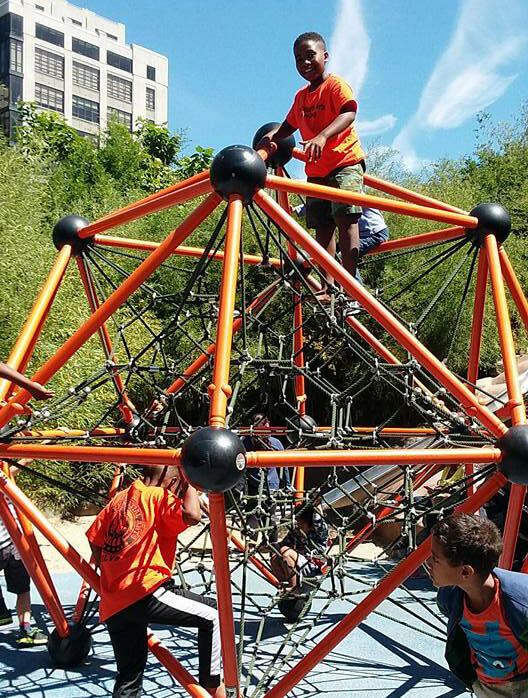 Because fun is what the Brooklyn Karate Summer Camp is all about. Camp has to be fun! Your child will be caught up in unique activities, fun games, and group exercises that emphasize teamwork and mutual support. 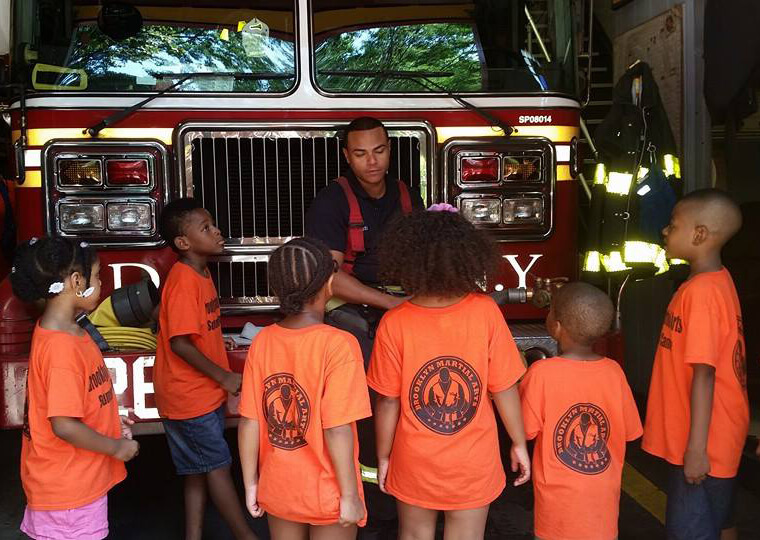 Every second of our camp is filled with fun, exciting, and educational activities. Your child will be talking about their camp experience for years!! One More Thing. We limit our camp size to make sure that your child and all the other participants get the absolute best experience possible. Call now and secure your child’s spot. We’d hate for you to miss this!